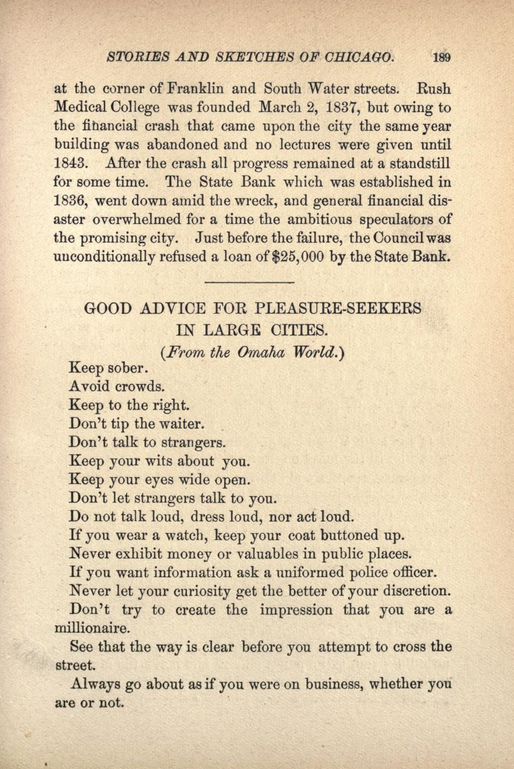 This is why I love old guidebooks. 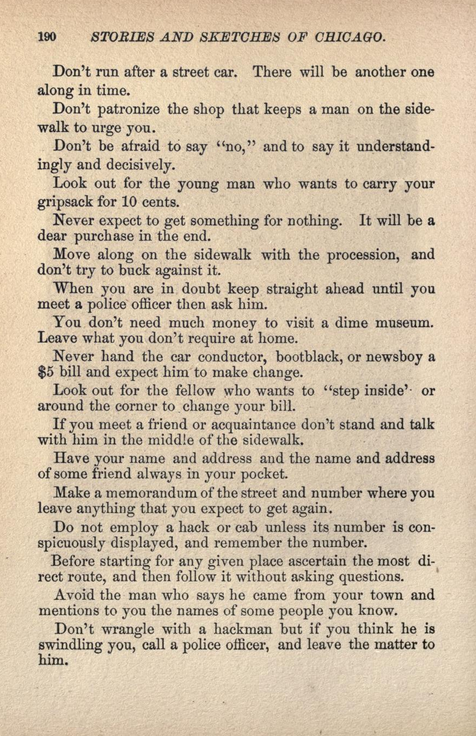 These pages are from a guide to Chicago published in 1888, but the paternalistic going on paranoid tone of the advice is familiar from guides to Egypt. 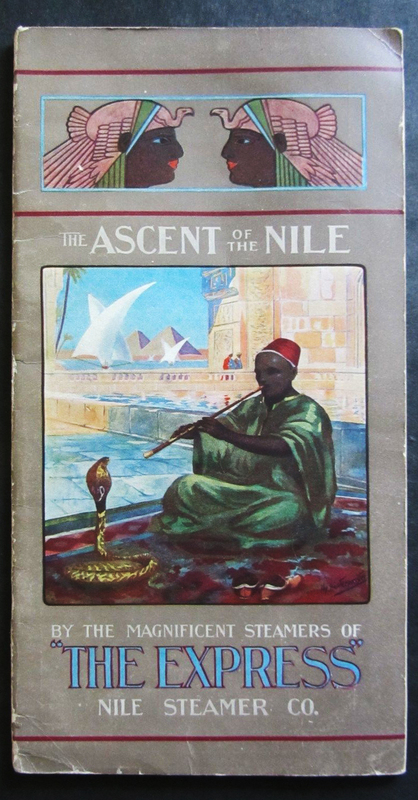 Americans had been vacationing on the Nile since the mid 19th century but in the first years of the 20th they were coming in ever greater numbers. The Hamburg-American Line increased its sailings to Alexandria to accommodate the growth. Meanwhile, on the Nile new cruise companies were setting up to challenge the monopoly of the English-owned Thomas Cook & Son. 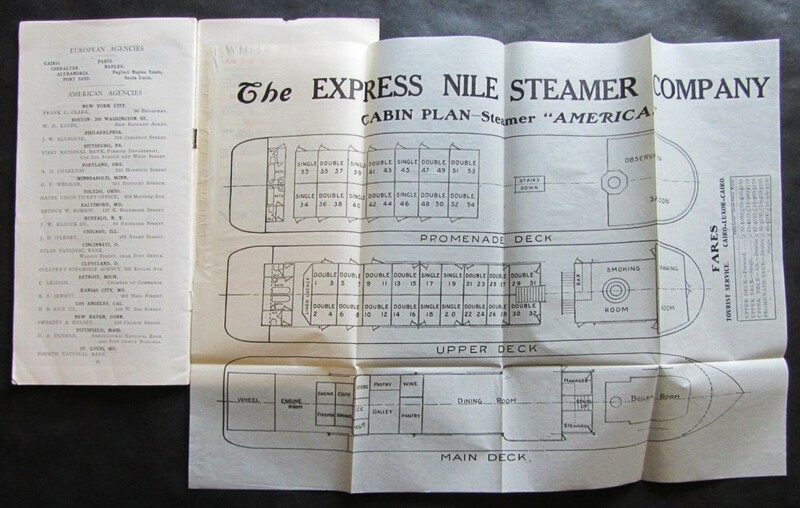 I’ve written before about the Anglo-American, established in the mid 1890s, and this was joined ten years later by another new venture, the Express Nile Steamer Company. Boasting all-American management and operating on “the American plan”, it inaugurated services aboard its two purpose-built steamers, the America and the Virginia, in 1906. (The steamers, incidentally, were British built.) What the “American plan” was, I’m not sure, but the company’s particular selling point was speed. It claimed its boats were the fastest on the Nile, with an average speed upstream of 12 knots an hour. This enabled them to complete the journey to Aswan and back in eight days as opposed to Cook & Son’s standard twenty. 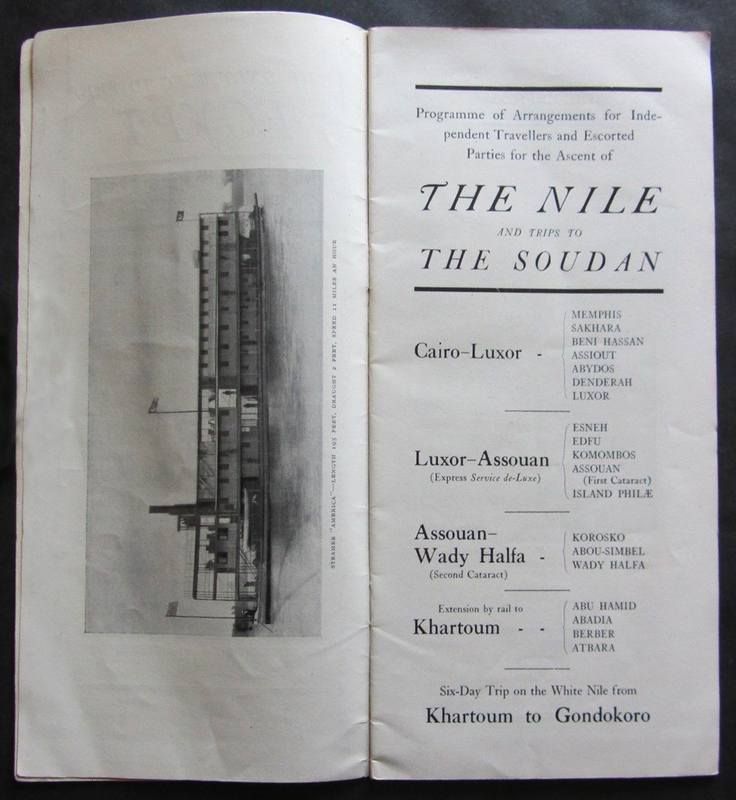 In fact, by synchronising with the train that left Cairo at 6.30pm and arrived in Luxor at 9am the next morning, where a boat would leave at 10am arriving in Aswan at 11pm, the company could boast it could get the traveller from Cairo to Aswan in not much over 24 hours “and have a good view of some of the principal ruins on the way”. 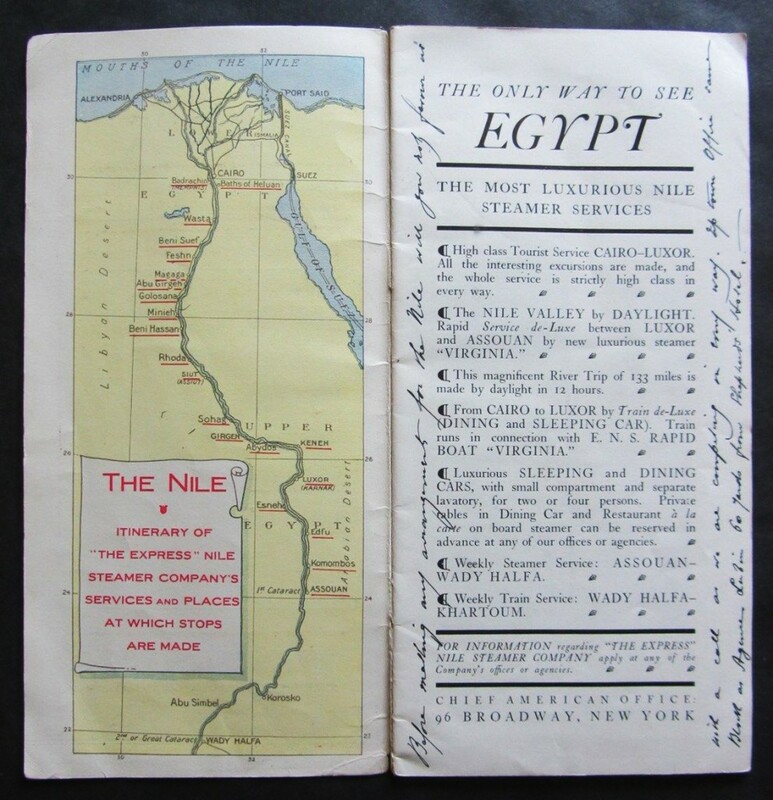 Except tearing up and back down the Nile at breakneck speed was not the experience most tourists in Egypt were looking for and it seems the Express Nile Steamer Company did not remain in business long because very little evidence of it exists. 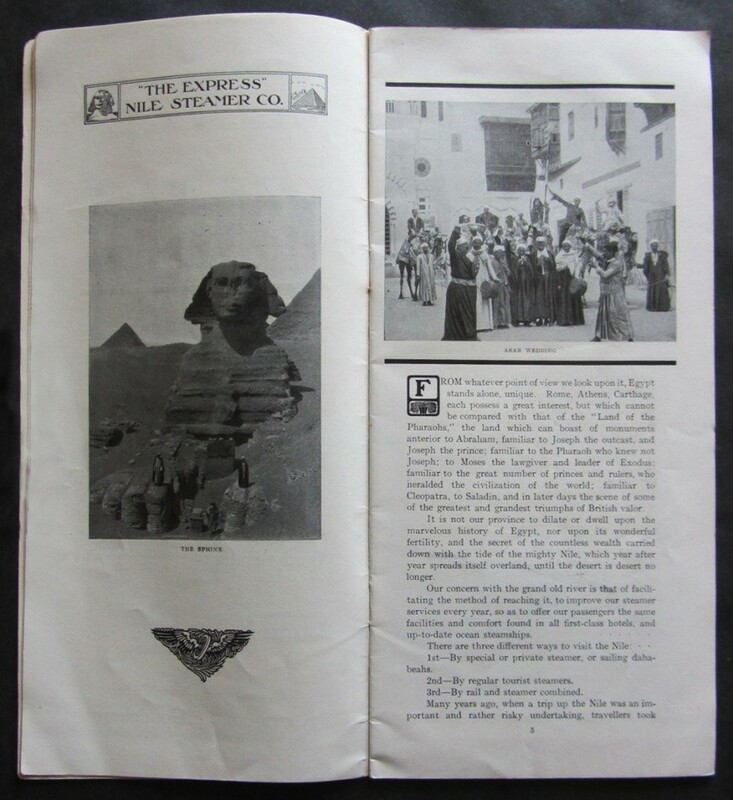 I found just one or two mentions in archive issues of the daily Egyptian Gazette. 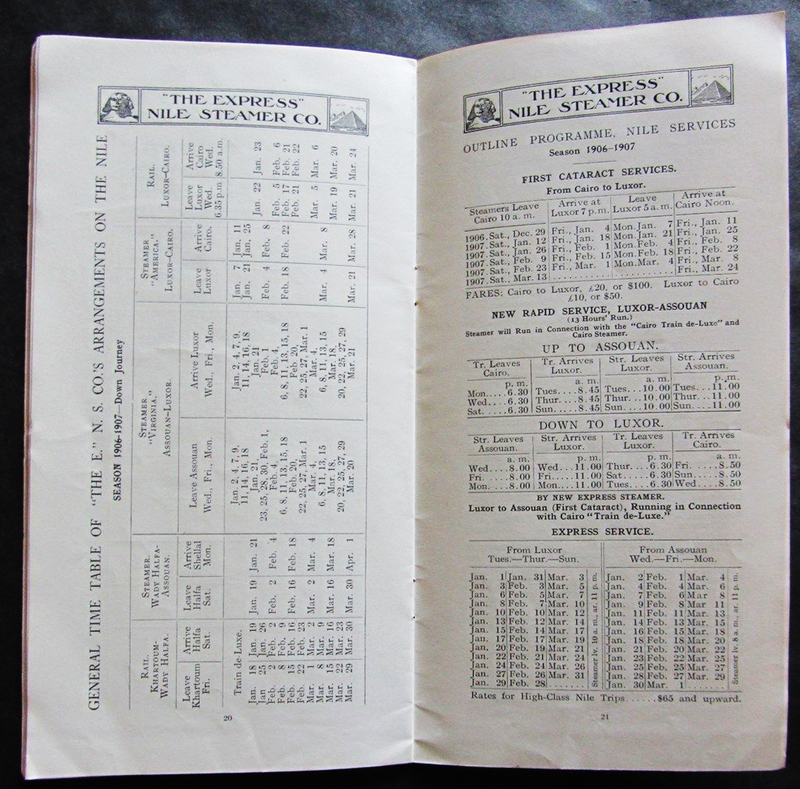 Until, that is, this brochure came up recently on ebay (scans above and below). I’ve never seen any other material relating to the company, which might explain why this item went for a price far beyond my each. If anybody has any more information about this company, I’d love to hear from you.